November 13. Welcome, to this week&apos;s newsletter. Today&apos;s Newsletter is sponsored by The Coves. See end of the newsletter for a fun Fitness Calculator we ran across. 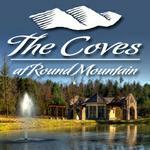 The Coves is North Carolina&apos;s premier Gated Mountain Community. With 5+ miles of river frontage and 50+ miles of long range views, The Coves is loaded with built-out amenities for 365 days of activities and events. 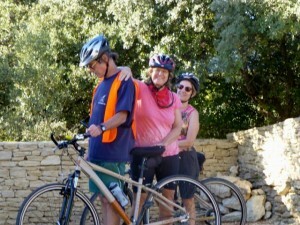 Retirement planning is a lot about getting a better idea of exactly what you are looking for in retirement. In this article we pose 7 questions you should be discussing with your spouse, friend, or family to make sure you get the retirement you deserve. Plus it has links to 2 of our most popular retirement quizzes. One of our members suggested we review this town near the base of the Cascade Mountains. Keith says it has plenty to make it a great place to retire: good weather, affordability, plenty of cultural and recreational activities. Residents and tourists alike celebrate its Bavarian-themed downtown, festivals like Oktoberfest, and the nearby skiing and hiking. Hudson is an old Ohio town that was part of the Western Reserve. It was founded by Connecticut settlers from Goshen. This affluent community has a large historic district, many parks, and a nice downtown. It also has a rich history: it was an important stop on the Underground Railway. Fitness Calculator: Want to stay healthy and live a long life? We recently read about a study from the Norwegian University of Science and Technology that correlates a few basic health questions into your fitness age. This fun Fitness Calculator just takes a few seconds to take - maybe it will give you the motivation to stay fit.